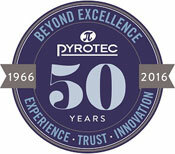 This year marks the 50th anniversary of Pyrotec, a privately owned and managed business established in 1966. The company’s three well-known industry-leading brands – Pyrotec PackMedia, Pyrotec PackMark, and Tower – have not only experienced phenomenal growth over the years but Pyrotec’s focus on innovation and customer service ensures that it continues to offer products and services founded on a dedication to quality, operational reliability, and service excellence. 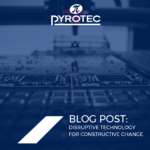 This is evident from just one of Pyrotec’s resounding success stories – its 34-year partnership with Fix-a-Form International, a UK-based company with a history dating back to the 1970s with the invention of Fix-a-Form booklet labels by Denny Brothers. These booklet labels, also known as extended-leaflet labels, led to the launch of Fix-a-Form International and an objective of recruiting independent printing companies to represent the brand globally. It was in 1983 that Rowan Beattie, Pyrotec’s Managing Director, signed a deal making Pyrotec the sole distributor for Fix-a-Form booklet labels in sub-Saharan Africa. Renowned for their ability to incorporate extensive information in the space of a standard label, Fix-a-Form booklet labels are a popular choice for FMCG products, and particularly for agrochemical and pharmaceutical packaging. 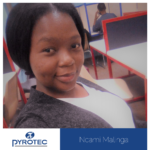 This popularity stems from increasing legislative requirements for manufacturers to supply information pertaining to products’ composition, safety, and usage instructions. “Not only is legislation more stringent, we’re also seeing a demand for increased efficiencies brought on by a bigger, more competitive market. 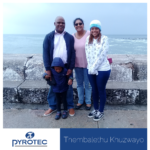 Fix-a-Form allows us to meet these requirements and increase customers’ production speeds by up to three times,” explains Jacques Loubser, Pyrotec PackMedia’s National Sales Manager. 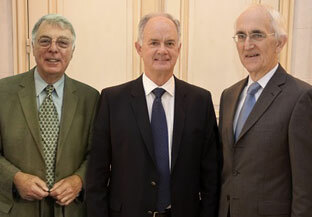 Mike Cooper, Rowan Beattie, and Barry Denny met at LabelExpo 2013, some 31 years after their original agreement was signed. Fix-a-Form booklet labels not only vastly increase the area used for communication and provide unlimited potential for cost savings and waste reduction, they also increase brand awareness through a product’s enhanced graphics and ability to communicate, educate and inform consumers. Booklet labels also provide opportunities for value-adds, such as recipes, inserts, coupons, and cross-promotions. Another powerful marketing and communication tool available from Pyrotec PackMedia is ElastiTag®. Distributed locally by Pyrotec PackMedia for US-based Bedford Industries, ElastiTag® builds and supports brand identity. These custom-manufactured tags fit snugly around products using a distinctive elastomer loop and are ideal for telling a story, supporting a worthy cause, delivering product samples, providing instructions, advertising a special offer, or providing a coupon, among other uses. While initially designed to meet needs for tagging bunches of fresh produce, ElastiTag® now features tags in many sizes and shapes, as well as digital printing using complex photos and artwork, and incorporates scents and multiple folded panels for additional print area. The possibilities for labeling, branding, and marketing almost any product using ElastiTag® are vast. Additionally, ElastiTote® is a creative promotional option for carrying sample products or trial offers. With innovative combinations of elastomer loops, tags with perforations, folds, adhesives, slits, and shapes of all kinds, the options are endless. 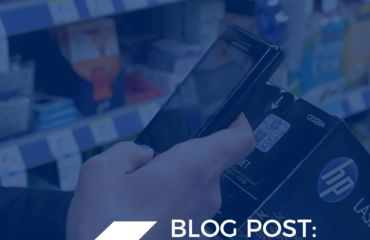 Another of Pyrotec PackMedia’s principals is the US-based Do-It Corporation that has a 43-year history of creating thousands of hang tab options to increase products’ in-store visibility and help manufacturers lower their packaging costs. Do-It® Hang Tabs and Display Strips are used to perfectly position products on-peg in the line of sight, and in high-traffic areas close to check-out points. 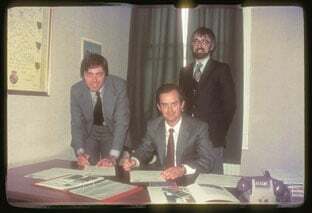 In 1982, Rowan Beattie (seated) signs the license agreement with Fix-a-Forms’ Mike Cooper, Fix-a-Forms Manager, and Barry Denny, MD at Denny Brothers, making Pyrotec the sole distributor of Fix-a-Form booklet labels in sub-Saharan Africa. Pyrotec PackMedia knows that a product’s success or failure often depends on the way it is presented to the end user. Whether providing vital information about composition, safety or usage instructions or promoting a product on-shelf, packaging labels extend far beyond being purely functional. Packaging should not be an afterthought but rather something that is subjected to vigorous investigation and embraced as adding value to a product.